Emergency locksmith services for all residential and commercial jobs in California. Highly skilled team of professional locksmiths who can offer quick assistance to solve all lock and key problems. 24/7 locksmith services / Home Lock Repair & Installation! Affordable Prices! Experienced professionals. 24 hour emergency locksmith service. Professionalism, expertise, and dexterity are the main factors which determine the high quality of our 24/7 mobile locksmith services. Share any urgent problem which you may have and we will come and resolve it on the spot. From emergency car opening to dealing with broken office keys, our company provides residential, commercial, and automotive locksmith solutions related to all levels of complexity. Skilled and experienced technicians always implement the best techniques based on individual circumstances. Whether the job involves lock fix or lock and key replacement, it will be completed brilliantly. The same is true when providing complex services like deadbolt installation, safe setup, and lock upgrading. The masterful work of our specialists results in flawless operation of the new security device. If you happen to live in Rialto California then the help is closer then you think. It is right here in your town and it is called Locksmith Rialto. Locksmith Rialto is a specialized company that brings you closer to all of locksmith services and solutions. However regardless of what the crime rate national average is and what part of the world you are living in you can never be too careful. The best way to protect yourself and your family is by protecting the place where you live and the most effective way to do that is with the help of professional locksmiths. People very erroneously see the door as the component that keeps them safe and that keeps the intruders out of their living area. But the door without a proper lock is just a big partition that eventually keeps you safe from noisy looks. Do not ever underestimate the power of a good lock. That is something we tend to say a lot to all of our clients and customers. The same goes for your residential as well as commercial establishments. Your home is not the only place that can be endangered; the same goes for the place where you work as well as for your car. Those are all the things that are considered to have certain value in today’s society and that should be protected with maximum security mechanisms. We from Locksmith Rialto can help you with your home, office and car safety as well as with other many issues you might be experiencing with your locks. We can do that by connecting you with highly professional locksmith service providers. For example very often people call us asking help with addressing their car lockout or lock installations. All of these are things that happen on a regular basis and when they do it is quite normal you will need help of reliable locksmith service providers to help you sort them out. These things quite often happen in the most inconvenient hours as well. But do not worry since we have a cure for this as well. We can connect you with 24 hours emergency locksmith service providers which cater for all of your locksmith needs at all times. All you have to do to get us going is call us and share why you are calling. Our professional customer support will take your call and before you know it your broken lock will be matter of the past. If you think you can make a good use of a company like ours, please contact us. We cannot wait to meet you! From residential lock rekey to car locks change, our company offers excellent locksmith solutions to households, business and vehicle owners in California. 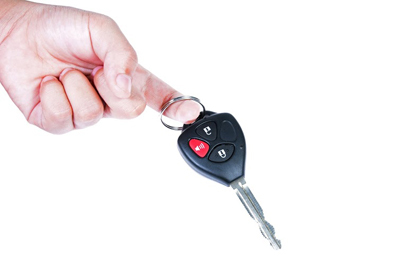 We are available to assist you 24 hours a day in case of lost keys or faulty lockset. We have a long and impeccable legacy in California and continue to be the number one choice for all locksmith services in zip code 92376. We offer lock replacement, installation and rekeying and cover lockout needs fast and 24/7.